(02) 8878 3500 or email. What is Treasure Island CIMT? Treasure Island CIMT is an intensive 9 day program (36 hours one-on-one therapy) for children with hemiplegia or monoplegia. 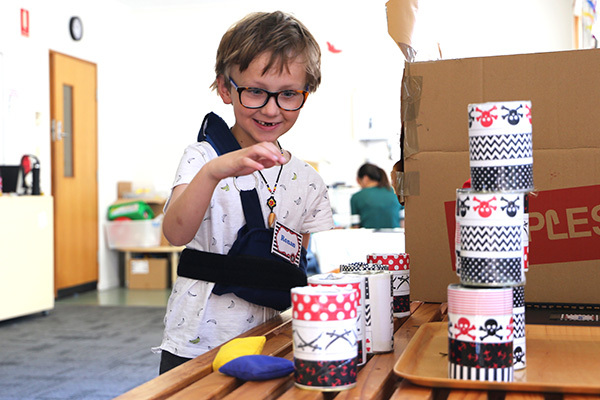 CIMT, or Constraint Induced Movement Therapy leverages the latest research around neuroplasticity of the brain and is delivered in fun, play-based, pirate themed activities and games that are designed to engage and strengthen your child’s affected arm. 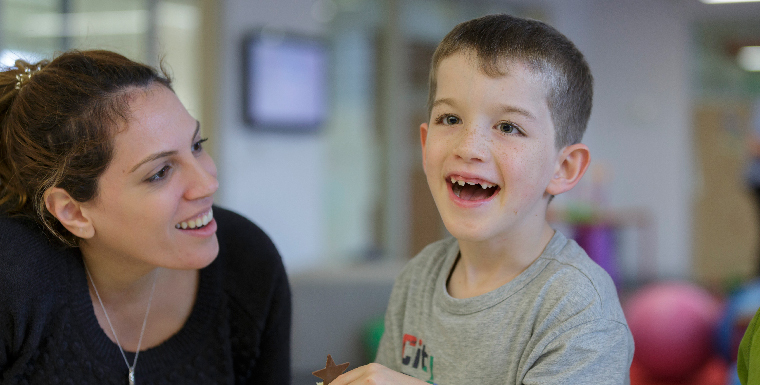 CIMT is run by experienced occupational therapists who provide quality therapy techniques in a fun environment that will also help your child build self-esteem, self-confidence and develop friendships. This intensive runs 9 days during the July school holidays 2019 at CPA Ryde. Call (02) 8878 3500 or email RydeAdmin@cerebralpalsy.org.au to find out if this program is suitable for your child. Parent coaching to help maximise benefits of the home program. Reassessment at the end to see how much your child has progressed. Who is this intensive for? 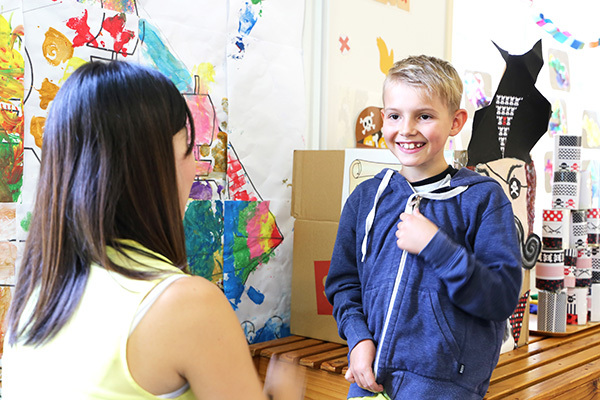 Children, aged 4-9 years with hemiplegia or monoplegia who are able to understand and follow simple instructions and cope in a group environment. Children must attend the entire 9 day program. I wanted my son to gain some function in his weak hand and he did. It gave him confidence. 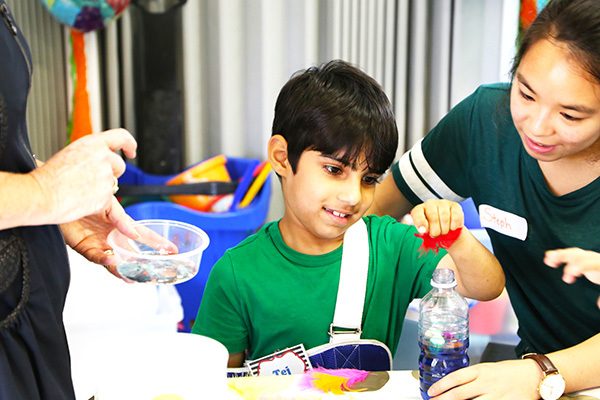 Call 1300 888 378 or email ask@cerebralpalsy.org.au to find out if this program is suitable for your child. During the preschool years (ages 3 through 5) a child learns various new gross motor skills which are vital for playing with their peers and building self-esteem. We’ve done other intensive programs, but everyone who’s seen him since Treasure Island agreed they’ve seen more improvement by far, than any other program or therapies. Parent of Treasure Island graduate. I have seen so much improvement! I will always be thankful that Ella has learnt more ways to be independent and use both hands. It was fantastic. She's using her hand more and also learnt to work in a group and wait her turn. Call 1300 888 378 or email ask@cerebralpalsy.org.au to find out which Super Learners Intensive Program can help your child achieve their goals. Places are limited. Consideration for eligibility will be made on a first come first served basis. Advice is available on how to structure this using your NDIS package.